When people think of metal framing systems they tend to think of strut channel and fittings, but hardware is an integral part of the functionality of the system – especially channel nuts, so it’s important to know what you’re options are when it comes to choosing the right hardware for the job. What is a channel nut you ask? Pretty much what it sounds like: it’s a nut that slides inside of a piece of strut channel, usually with a threaded hole in the middle, used to attach fittings to the strut. 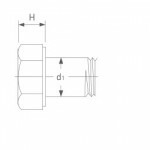 Channel nuts typically have serrated grooves on one side to help you correctly align them within the channel’s track, and hold them securely in place after being tightened. 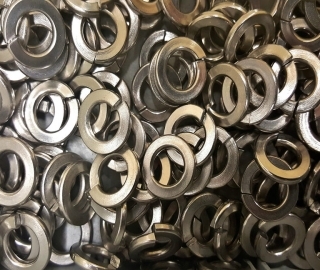 Picking the best channel nut for your application can decrease the time spent during installation – saving you time and money – conversely, picking the wrong nut can turn a simple job into a laborious process full of headaches. Imagine you’re on a scaffolding 15 feet in the air attaching bulky lights to a track of Unistrut channel and you’re using one hand to hold a channel nut in place inside the strut, while you’re using your other hand to hold the light and try to screw the bolt through the housing for the light and into the channel nut…think another hand might come in ‘handy’? Not to mention, what happens if you drop the channel nut…or the light?!? There are channel nuts with springs, which hold themselves in position inside the channel so you don’t have to, that would have made this job significantly less difficult. Channel nuts with coiled springs don’t work so well for every application though, if you are using a piece of channel that has perforations on the back side the springs can be difficult to slide within the channel, getting stuck along the way. Money might be an issue too, channel nuts without springs tend to be a little bit less expensive, and if you’re standing at a work bench pre installing fittings to a length of strut before you bring the assembly to a job site you might opt for a springless channel nut. 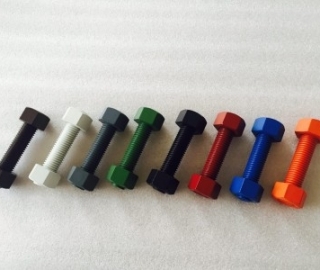 Now that we’ve gone over a few examples of why tailoring your choice of channel nut for your specific job application can be very important to your piece of mind and pocket book, let’s talk some more about what types of channel nuts are out there. There are two basic categories that channel nuts fall into – yup, you guessed it: channel nuts without springs, and channel nuts with springs, or spring nuts. 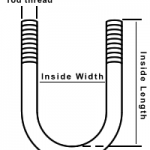 Within the spring nut category there are different types of springs: you have your standard metal coiled spring, which comes in different lengths to accommodate the height profile of the specific channel you’re using, and you also have not so traditional plastic springs – as seen in the Top Grip Nut, which has a flexible plastic tabbed collar to hold the nut in place. There are also male spring nuts, with bolts attached to them instead of having threaded holes; these are called stud nuts. Especially useful for simplifying the process of drop rod installs is the Unistrut Kwik Washer. 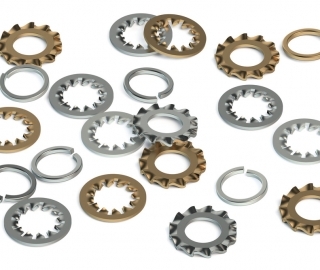 The Kwik Washer falls somewhere between a springed and springless channel nut – having properties of both: there is a rigid matal and plastic tab which holds the nut in place much like a spring nut would, without the need for occupying one of your hands, but it’s not really a spring. These can be pre-assembled with threaded rod and slipped into place inside existing ceiling mounted channels with just the twist of a wrist, as pictured.